Good news! In a world of mid-size vehicles and sadness, Jaguar won’t fully give into the crossover cash trap. The Jaguar F-Type, a strikingly beautiful machine that broke a nearly three-decade sports car hiatus at the company, will have a successor. And that successor will have an “electrified” powertrain. “Electrified” is a buzzword automakers like to use to make themselves look trendy and green, so before we talk about the new Jag, let’s get that straight. Jaguar committed itself to launching every new car after 2020 with some sort of electrification, which means the cars will have electric versions—full electric, hybrid or mild hybrid. A mild hybrid is a step between the gas engine and a full-on hybrid, as it has an electric engine that cannot power the car on its own. Jaguar design chief Ian Callum, in Detroit last week, told Automotive News reporters and editors that the brand will not abandon the segment. “We are going to do another range of sports cars eventually,” said Callum, who has led Jaguar design since 1999. “[Sports cars] are not going to go away,” he said. 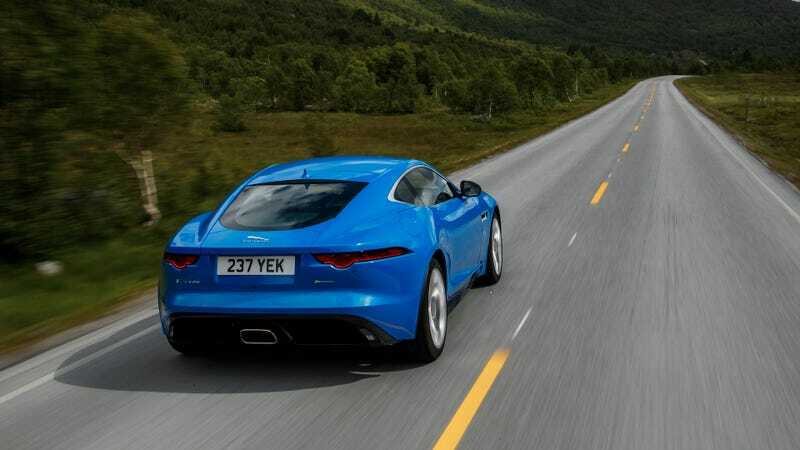 Automotive News reports that Callum didn’t say anything about a timeline for the F-Type’s eventual replacement, but that Jaguar Land Rover North America CEO Joe Eberhardt confirmed the car will have an electrified powertrain just like the post-2020 lineup. Hooray for more environmentally-friendly burnouts in a future Jaguar sports car. Your tires may not thank you, but the air sure will.